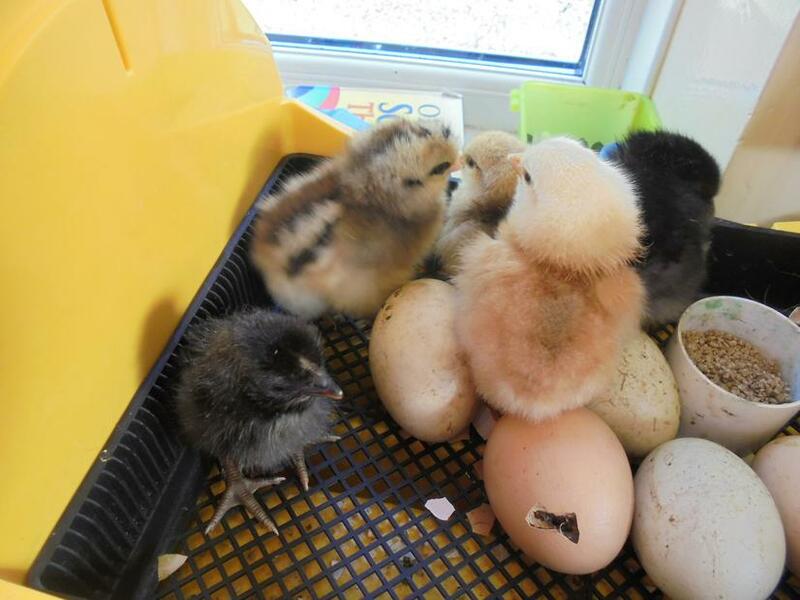 The chicks have grown a lot over half term and have also grown all of their feathers. 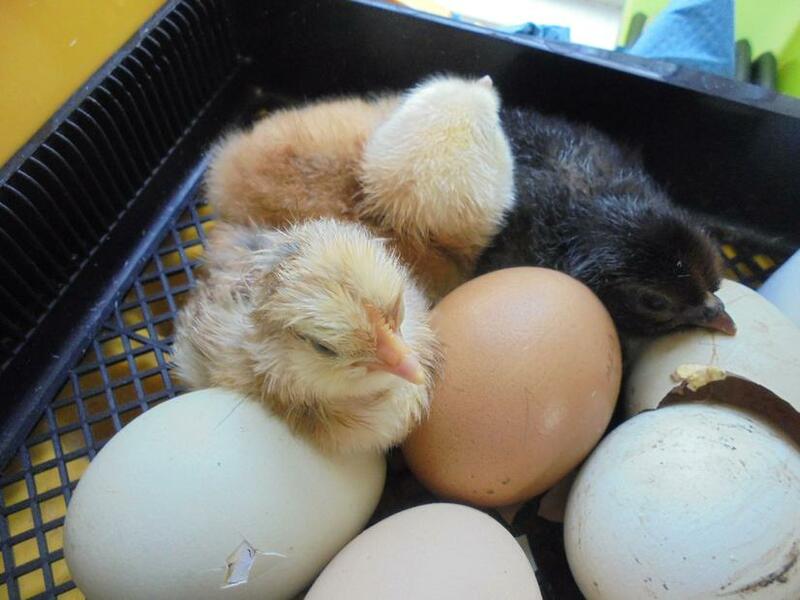 This means they won't need the heat lamp for much longer. 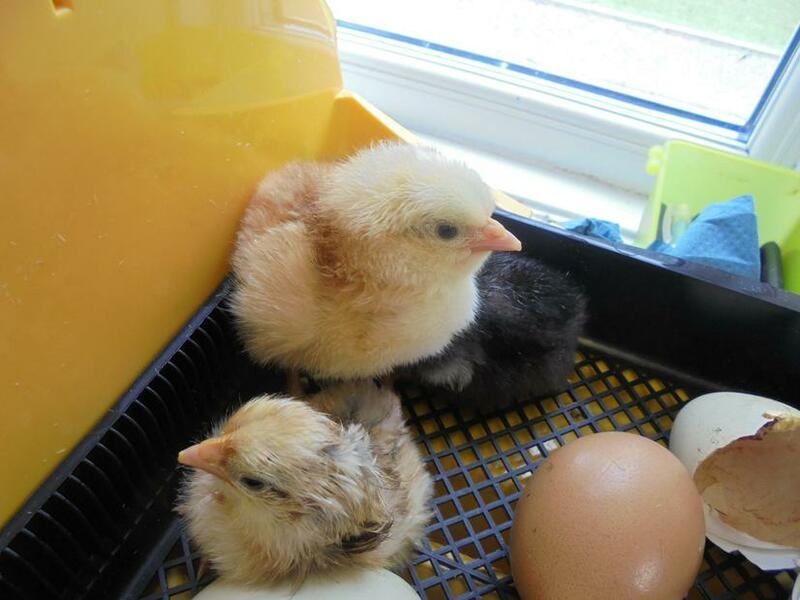 As it was so warm in the holidays we put them out in the garden for them to explore the grass and to let them have a scratch about. 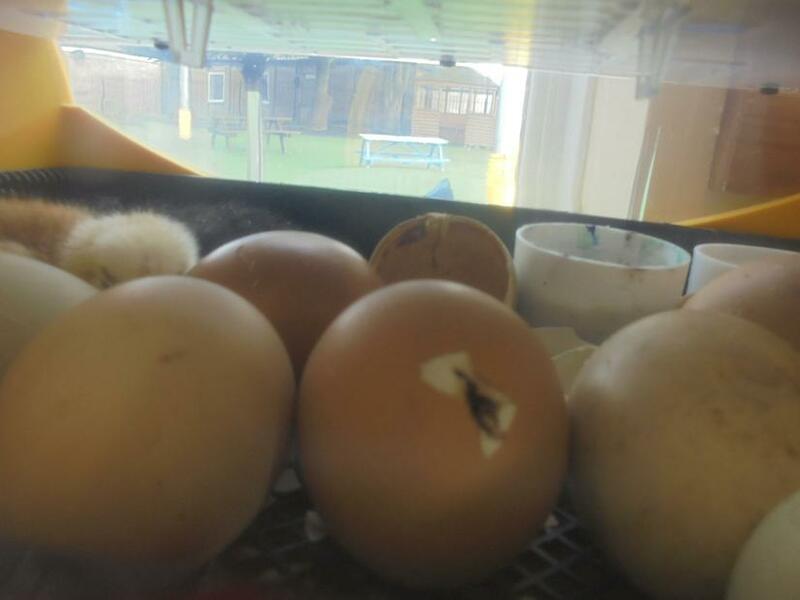 We came to school on Wednesday morning to find that the eggs had begun to hatch. 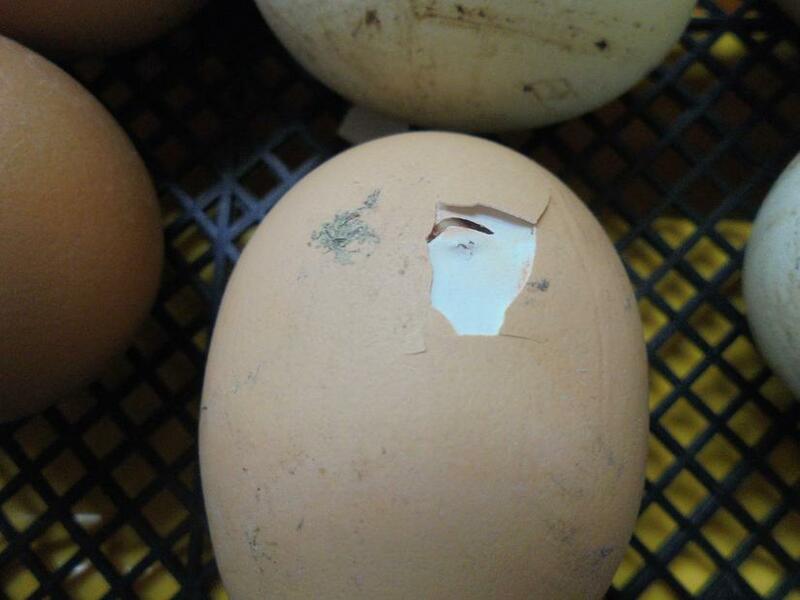 They started with a small hole, and then over time they broke out of their shells. They have been keeping us entertained! 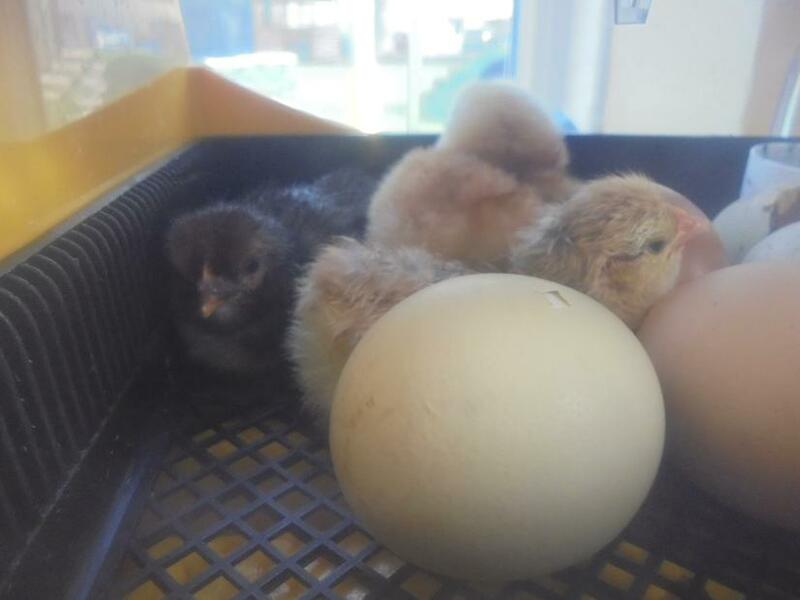 So far five eggs have hatched, we are not sure if anymore will.